The Justice and Security Bill - which many consider to be more about security than justice - had its second reading in the House of Lords on 19th June. The Bill survived this reading and is now committed to a Committee of the Whole House. The debate can be read at Proceedings in Parliament 19th June 2012 - start at time 3.08pm and later at 6.27pm. Liberty believes that the proposals are dangerous and unnecessary. They will not only overturn centuries of common law fair trial protections for those seeking to challenge the actions of the State, but also undermine the vital constitutional principle that no one is above the law, including the Government. "LIBERTY" - Campaign "For their eyes only" and see their briefing paper on the bill. So, what do others have to say? On 15th June, the Lords Constitution Committee issued a report critical of some aspects of the bill. Interestingly, the Committee picked up on a point, also made in an earlier post on this blog, that Ministers would be granted Henry VIII powers to extend closed material procedure to inquests in Coroner's Courts. A fuller analysis of the Constitution Committee's report may be read at UK Constitutional Law blog 25th June 2012. The author (Jack Simson Caird) says that the Committee;s report demonstrates that key elements of the Bill ‘challenge’ two principles of the rule of law: open justice and natural justice and that the report’s analysis and conclusions on the constitutionality of the Bill are likely to have a major impact upon the scrutiny it receives in the committee and report stages in the Lords. who currently act as Special Advocates - read Special Advocates Memorandum 14th June. See also the post on the UK Human Rights blog 14th June where the special advocates' memorandum is discussed. Parliament's Human Rights Committee is to take further evidence on the bill on 26th June from a small number of the Special Advocates. Earlier posts on this Bill written soon after the publication of the bill are: 30th May 2012 (which looks at oversight of security services) and 31st May 2012 where the detail of the proposed closed material procedure is considered. After writing the 31st May post, I added various links to the views of several learned writers. It seems that one case has already been given in secret, so how can this be if this legislation has not yet gone through? Nothing in the papers, no reporting, and it does not appear to be according to our Common law Constitution. Anonymous refers to a Council Tax enforcement case heard in a Magistrates' Court. The full details are not available to me. What I have read in the media is that (a) Mr Hayes owed Council Tax; (b) was arrested on a warrant - (?? presumably issued by the Magistrates' Court and presumably a warrant not backed for bail ?? );(c) after arrest he was taken by the Police to the Magistrates' Court and (d) sentenced to 21 days imprisonment for wilful refusal to pay and (e) the hearing was held "in secret." It also appears that Mr Hayes may (it is unclear) have wished to argue that the Terrorism Act 2000 s15(3) made it unlawful for him to pay the tax. I express no view on this. 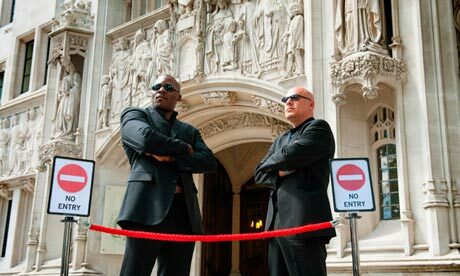 The basic rule is that proceedings in the adult Magistrates' Courts must be in public but significant exceptions exist. A full discussion of that would be very lengthy. The court must always give reasons for such a decision.